Steve Madden, the New York-based footwear brand with a global presence, has recently created an innovative window display at all of their major exclusive stores in India. Taking inspiration from the street life and culture of New York and to evoke an element of surprise for the customers, they installed the tail part of the yellow taxis to showcase the collection of shoes and lifestyle accessories. Executed by Brand Pulse, the Mumbai-based retail solution provider, the brand used material like thermocol to create such interesting props for the store. 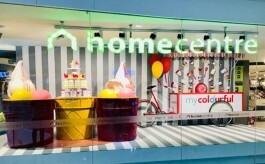 The brand has rolled out such innovative installation window in their 20 exclusive stores across India and 8 traffic signals. Divyata Rastogi, VM Head, Brands - Steve Madden and Kate Spade shares with Retail4Growth, “We wanted to create a look and feel of the streets of New York in our window display. Thus we have a rugged theme. The main highlight of the display being the yellow taxi, it was a challenge for us to represent it with correct finesse. Brand Pulse helped us achieve that and we used thermocol because of its lightweight and also got the right glossy finish. So far we have installed it in our 20 stores but in the next level, we are going to take this in mall atriums and create an attraction for Steve Madden products. “As the retail solution provider of the brand, the real challenge was to create the taxi in such lightweight material and make the tail end of the taxi glossy for the actual look and feel. Completing 20 such POP items with equal finesse and installing them correctly was an experimental project for us,” shares Ravi Jadhav, Director, Brand Pulse. 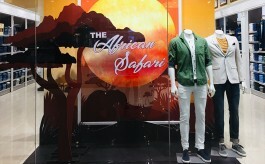 Due to this in-store display, the brand is getting lot of walk-ins and the trials have gone up as informed by the brand. In near future, the brand is also looking at exploring different VM elements for different seasons to promote their new collections.